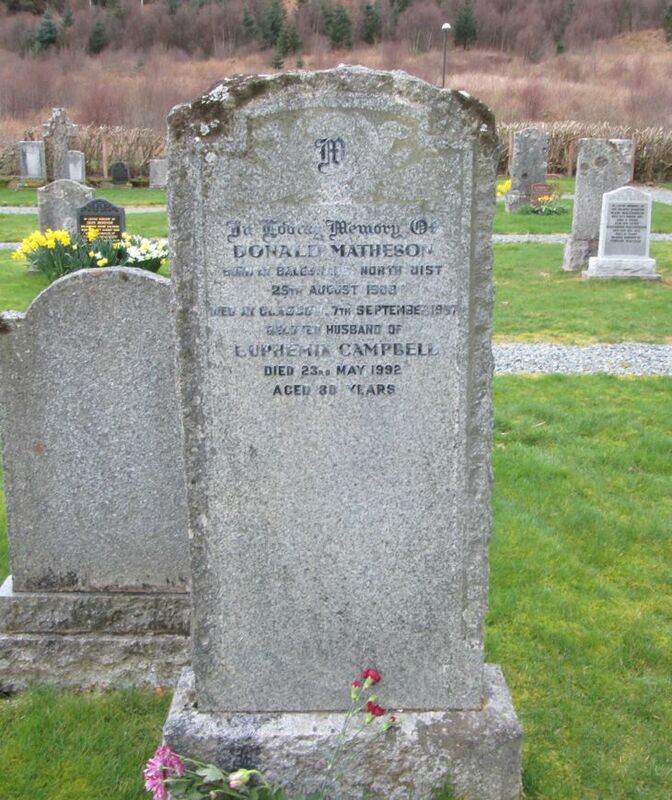 Skye Gravestones | Donald & Euphemia (Campbell) Matheson. Donald & Euphemia (Campbell) Matheson. In memory of/DONALD MATHESON/born at Baleshare, North Uist/25th August 1908/died at Glasgow 7th September 1967/beloved husband of/EUPHEMIA CAMPBELL/died 23rd May 1992/aged 80 years. Picture Added on 01 April 2018.